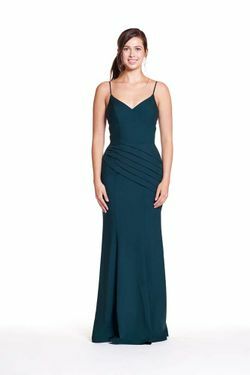 Bary Jay bridesmaid dress style 1883 - One-shoulder choker collar stretch dress with princess seams, and side slit. Side seam zipper. Note: Dresses with a side zipper should be ordered one size up.